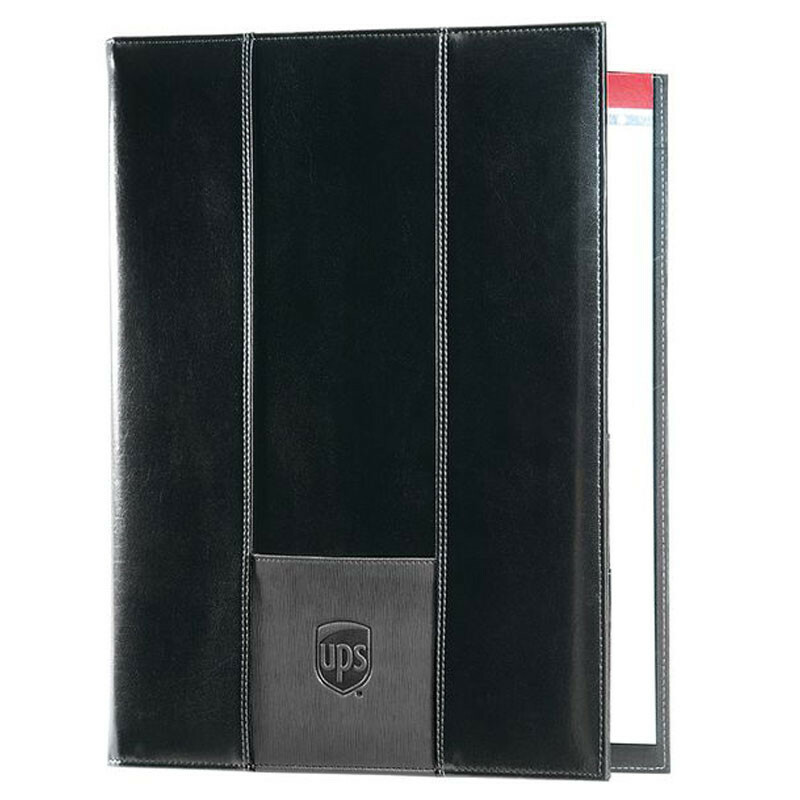 This stylish promotional padfolio is made has a unique look and am imprint area that is sure to grab some attention. 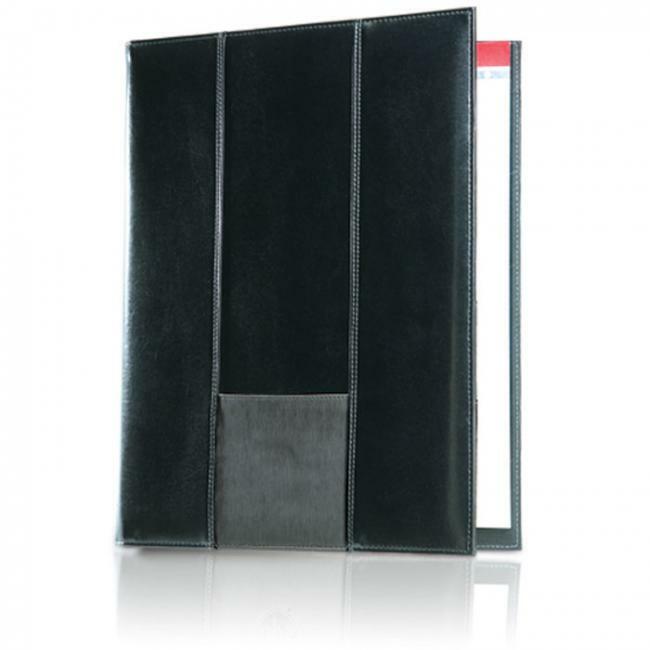 The front pocket on this custom padfolio is great for quick access to business cards or smaller materials. The interior has ample storage space with numerous pockets. It also comes with the 8.5 x 11 writing pad and is individually wrapped in an Eco-Link drawstring fabric gift bag. 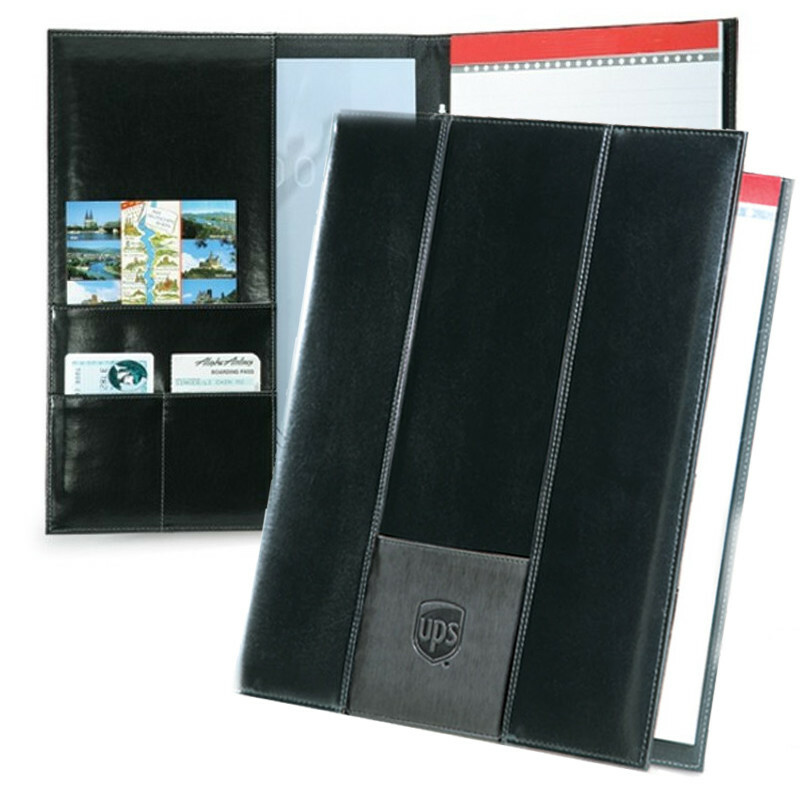 This custom promotional Padfolio is a great gift for the promotional product programs. 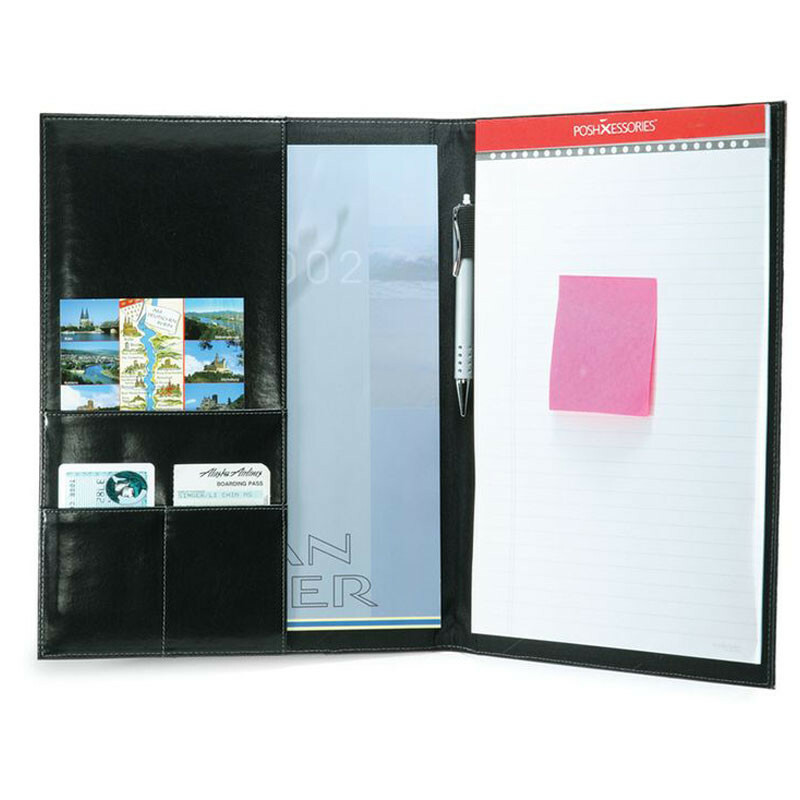 As a corporate gift, this padfolio can be custom printed with your company's logo or design to gain maximum promotional exposure and awareness. 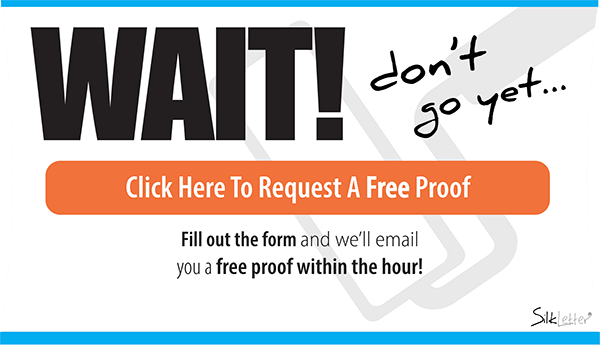 This product is sure to grarb the attention of everyone at your next corporate meeting or seminar.